This badge was issued to Mark Courtemanche on 11 Feb 2016. 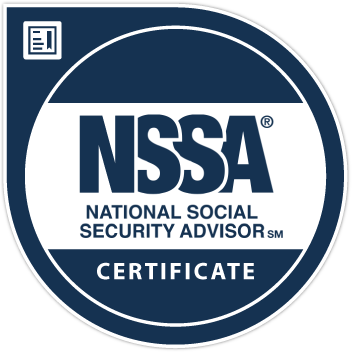 Earners of the National Social Security Advisor Certificate have demonstrated the required knowledge necessary to assist clients in reviewing the many options that are available when receiving Social Security benefits as well as provide objective and unbiased Social Security education to the public. These earners are professional advisors who advise clients, colleagues, and others on the Social Security program and related benefits for adults aged 60-70. Successfully complete an educational course from one of our in-person programs or online via the web or on demand. Successfully pass the online proctored assessment and achieve a minimum assessment score of 79%.